From an early age, DJ Armin van Buuren knew he wanted his very own radio show. “When I was younger I always promised myself I would do a radio show if ever got the opportunity,” van Buuren said. When the opportunity came for van Buuren to have his own radio show, he jumped at it and in June of 2001 the Dutch native aired his very first episode of A State of Trace radio, a weekly two hour radio show that still continues today. “The radio show is basically the cornerstone of everything I do. When it comes to releasing remixes, telling about my personal life, touring, everything comes together in the State of Trance radio show,” van Buuren said. Nearly 15-years later, A State of Trance radio show continues to air for two hours each week. The program draws an average of 20 million listeners a week and recently celebrated its 650 episode. “It’s a great satisfaction to know that people tune into the radio show every week,” van Buuren said about having millions of listeners worldwide. 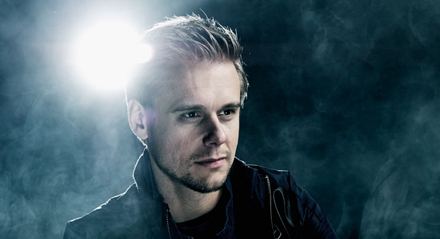 On May 3, van Buuren will be in Vancouver as part of his Intense world tour. The Grammy and Juno nominated artist is looking forward to his performance at Pacific Coliseum, which will feature music from his most recent album, Intense. Van Buuren, who has displayed his talents in just about every major market in the world, spoke highly about his Vancouver and British Columbia fan base. Over the years, van Buuren has received plenty of awards and become one of the world’s most respected members of the trance music scene. The native of Leiden, Netherlands became interested in music at a young age, thanks in large part to his father’s love for trance music. At the age of 10-years-old van Buuren received a computer as a gift and soon after he began creating remixes. However, despite his passion for music, van Buuren decided to attend university and eventually received a master’s degree in law. Van Buuren, who has displayed his talents in just about every major market in the world, recently became a father and is now forced to balance his two passions.